This issue of BIG BANG UNIVERSE is SOLD OUT! 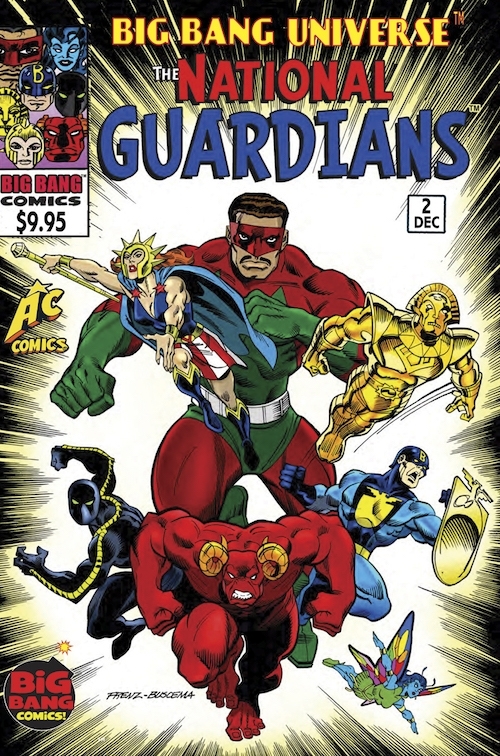 80 pages of all out action as the National Guardians – Badge, Golden Idol, Venus, Ramm, Butterfly, El Gigante, BlackAdder – combine forces to protect the world from deadly threats such as the Hyper-Ape! The Blue Ox! The Ancient Mariner! Dr. Cadaver and Iron Maiden!